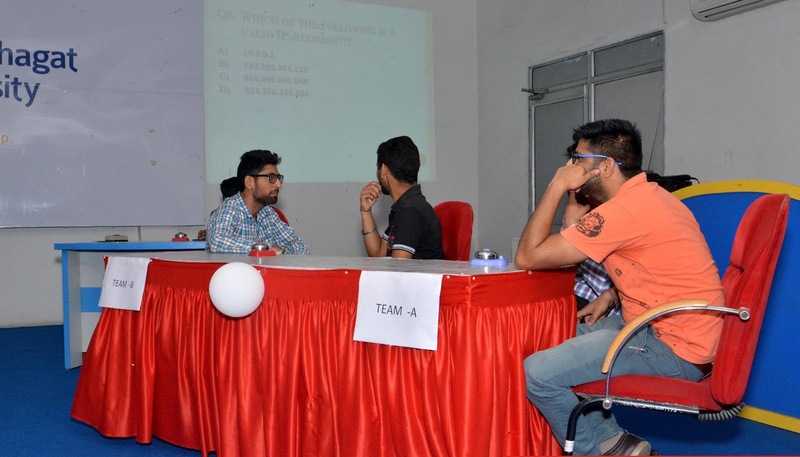 Desh Bhagat University Faculty of Management and Computer Science organised IT-Quiz contest. Students of different classes like BCA MCA, PGDCA, B.Sc. and M.Sc. (IT) participated in it with full fervour and enthusiasm. The event was arranged by IT Club of the university in connection with final examination of the students and to enhance their knowledge through interactive methodology. While giving details about the event Vice–Chancellor Dr. Virinder Singh said that students of these classes were divided in to 12 different teams. The contest was based on rounds like IQ quizzes, Brain Teaser, Reasoning and Business related topics. All the students performed their best in every round and they fought hard to enter in semi finals. After Semi-finals, the final fray was in between Team BCA-6 and MCA-4. Like as Semi-Final, the final round was also very interesting, both teams were fighting hard for victory points in the margin of 1.5 points. Finally team BCA-6 consisting of Varinder Singh and Harpreet Singh took the final lead in rapid fire round. They won the contest and lifted the IT-Champs trophy. Team MCA-4 consisting of Mahesh Ahuja and Anmol Dang was declared runner-up. While felicitating the students, university Chancellor Dr. Zora Singh and Pro Chancellor Ms. Tajinder Kaur said that educative events like quiz contests, debates and group discussions are an integral part of our education and to promote the same among students, University provides all types of incentives and facilities to the outstanding students. 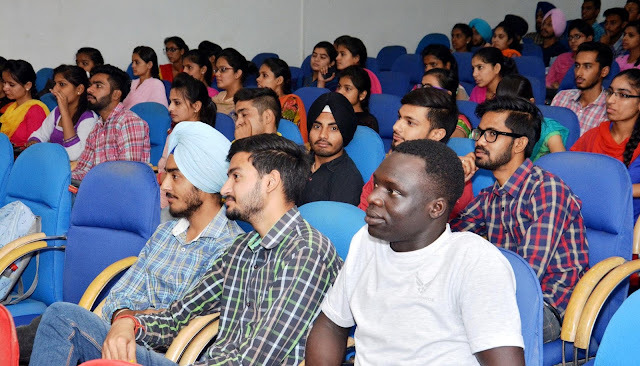 It is worth mentioning that Desh Bhagat University gives full importance not only to research, innovation and other scholastic activities but also to co-curricular and sports activities.